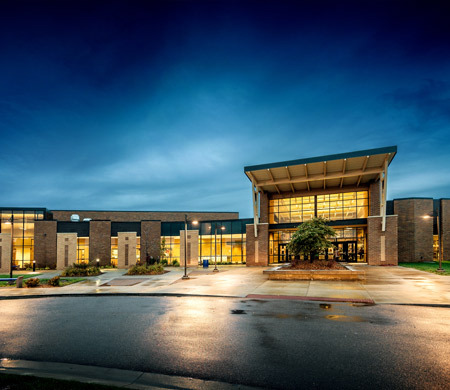 Beginning its life as Linwood High School in 1920, the Basehor-Linwood Middle school was falling woefully short of educational facility needs. 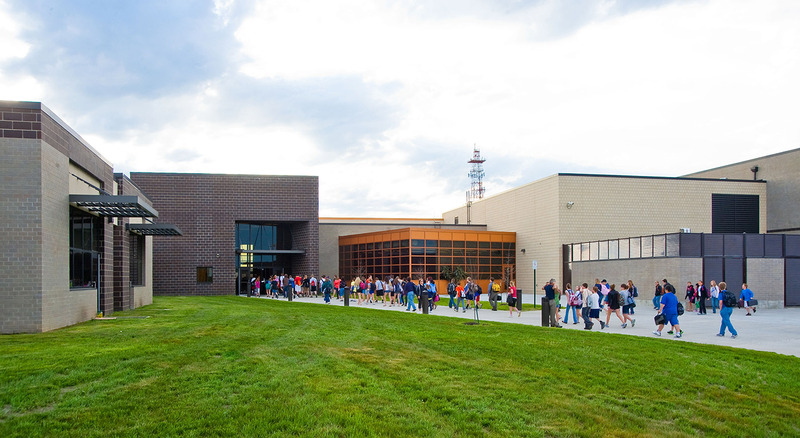 As a result of a Bond Issue, the decision was made to construct a new Middle School. 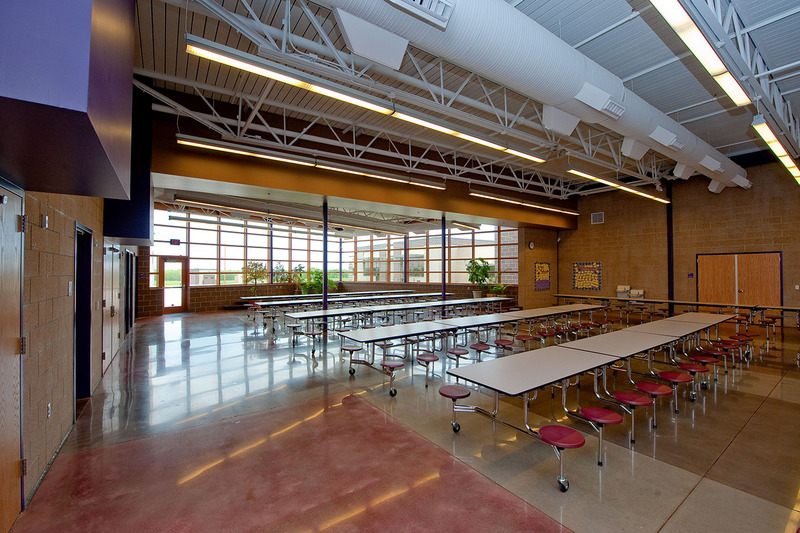 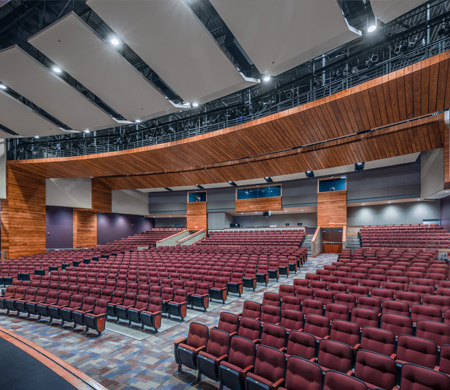 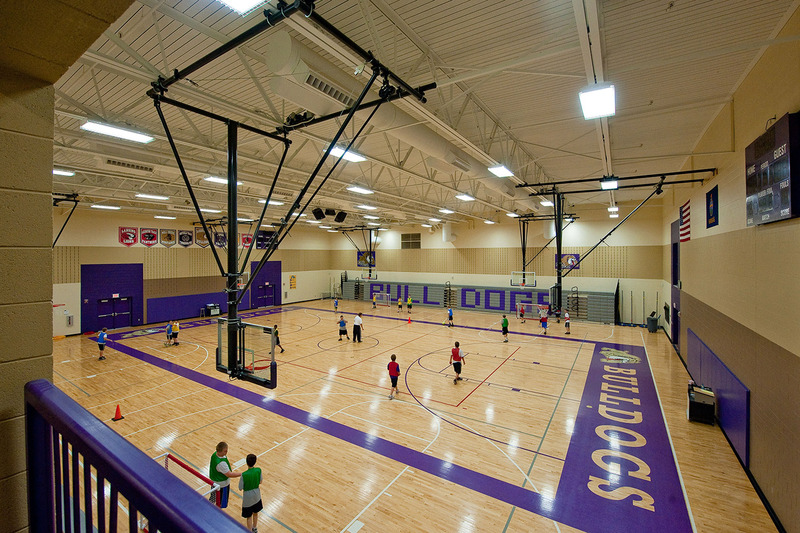 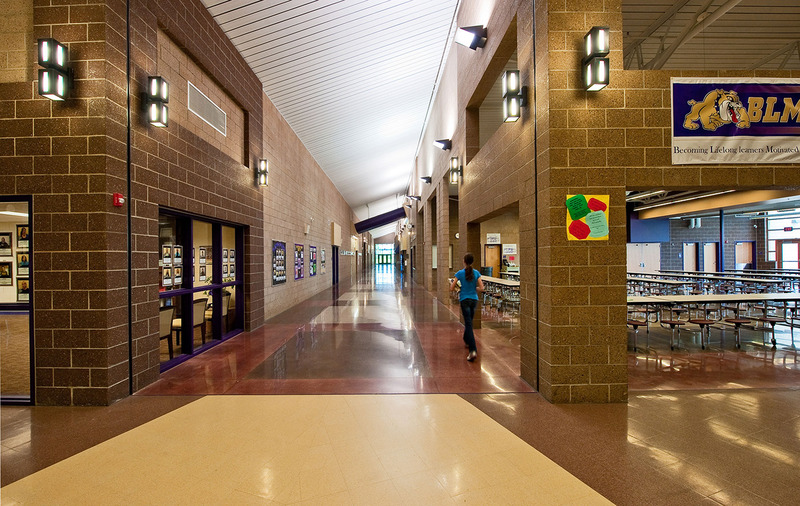 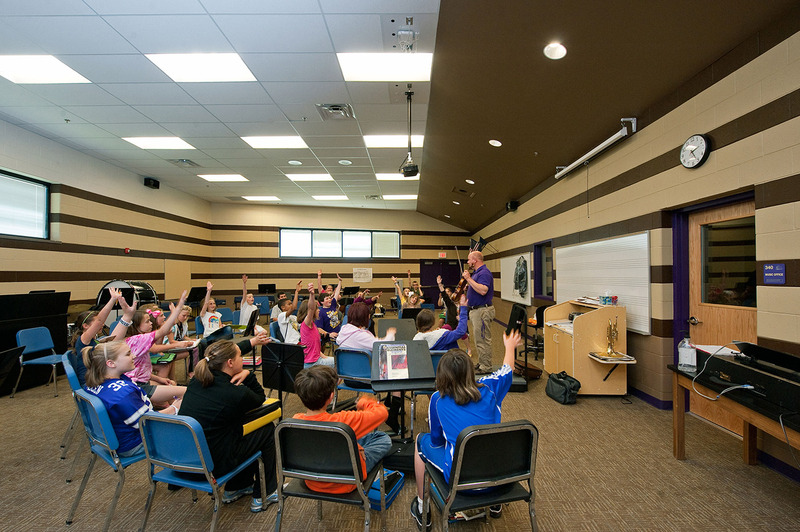 The patrons wanted the school to be in a more centralized location within the School District. 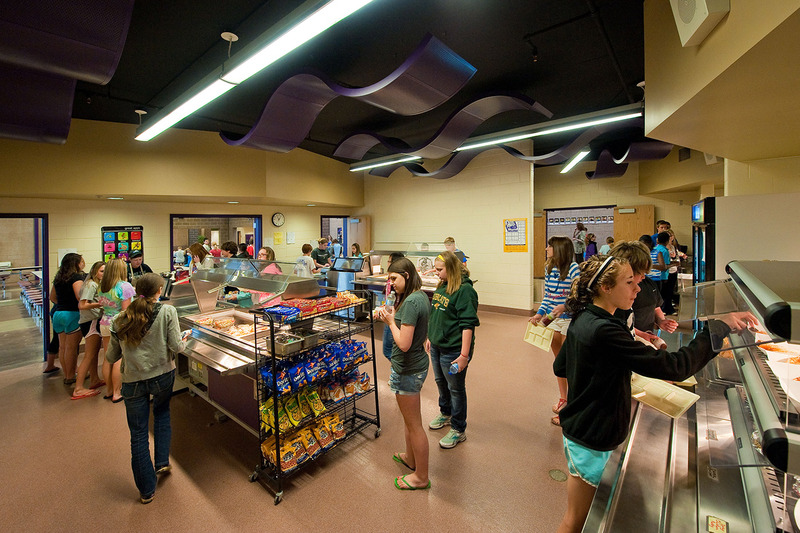 Within the new Basehor Linwood Middle School, spaces are organized into classroom and activity areas. 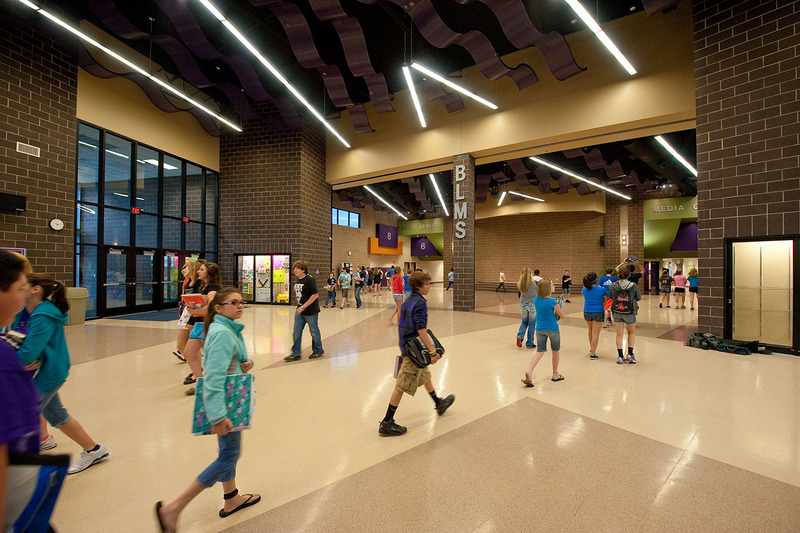 Three wings of academic classrooms for 6th, 7th, and 8th grades flow into a large open commons area, which is anchored by the media center and doubles as a storm shelter. 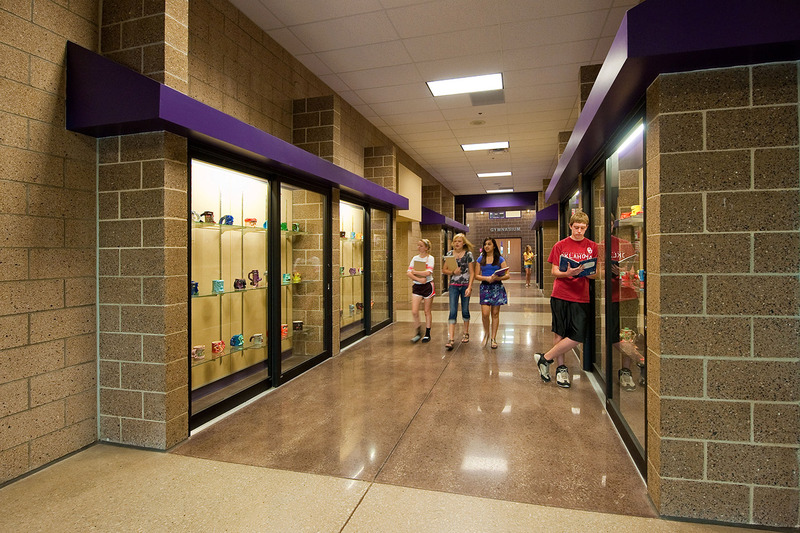 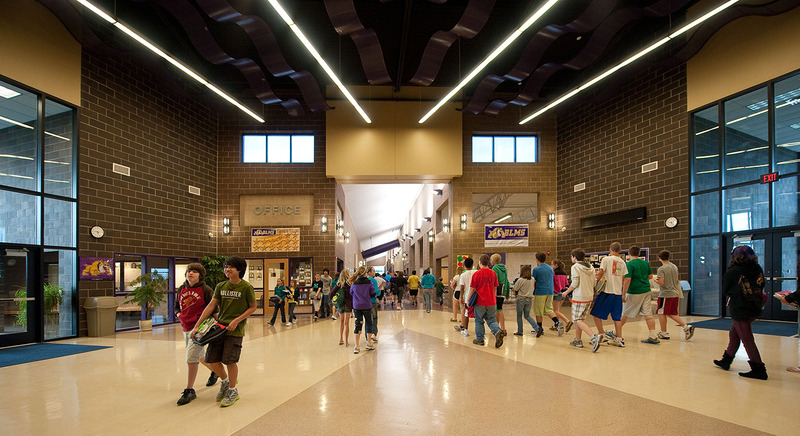 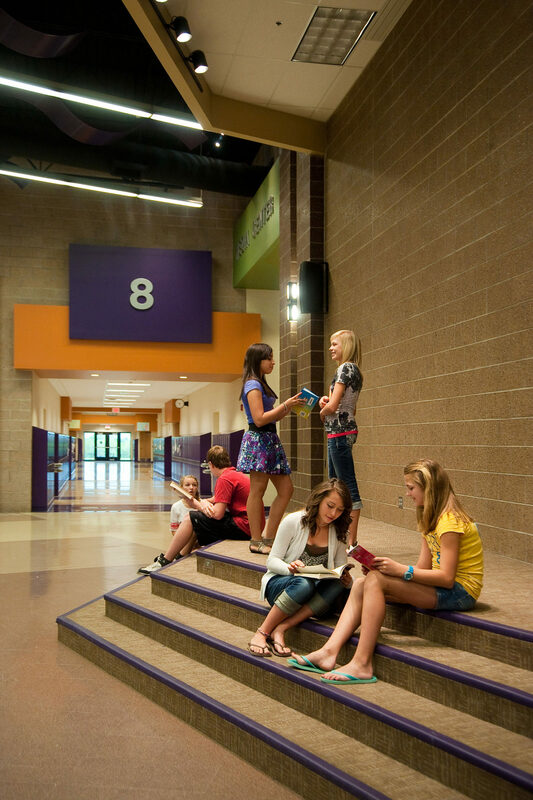 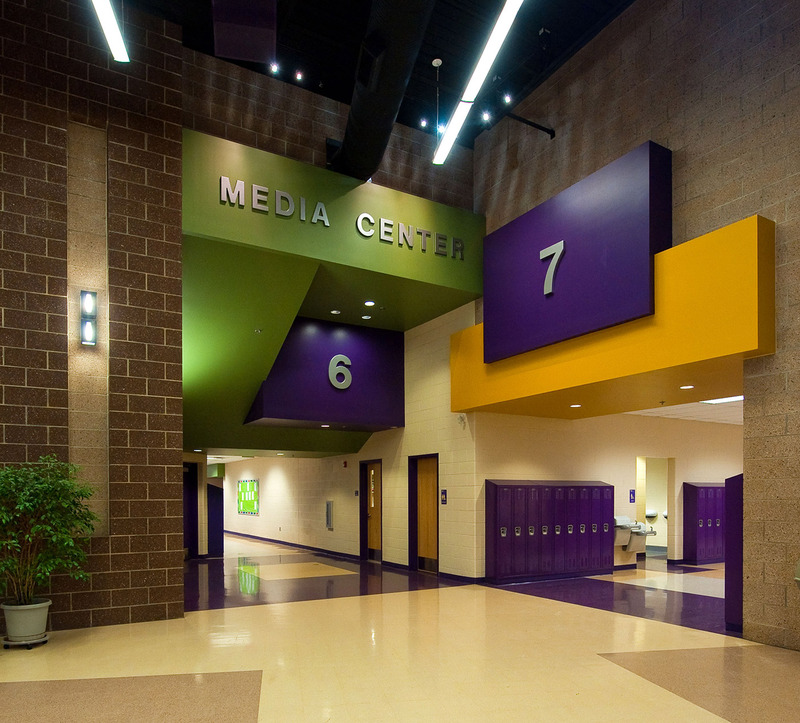 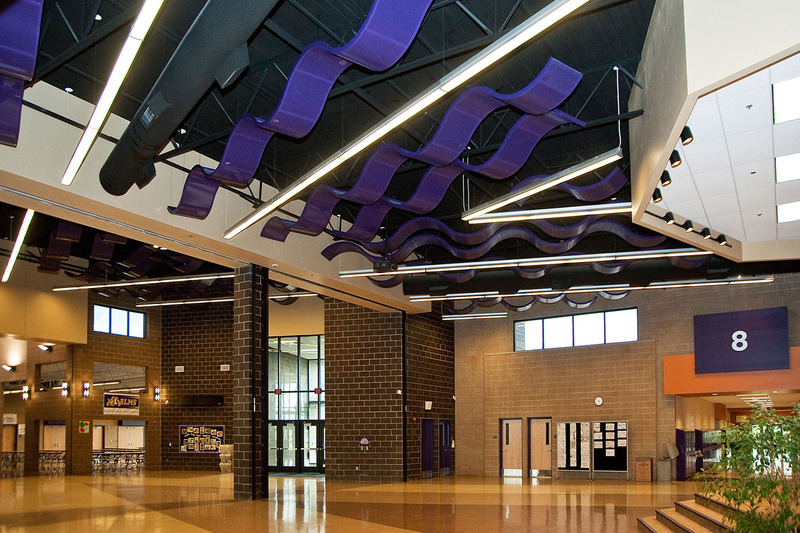 An activities wing extends from the main entry lobby, forming a large scale “Main Street” off which major activity spaces including the cafeteria, kitchen, labs, gymnasiums, art studios, and music suite are accessed. 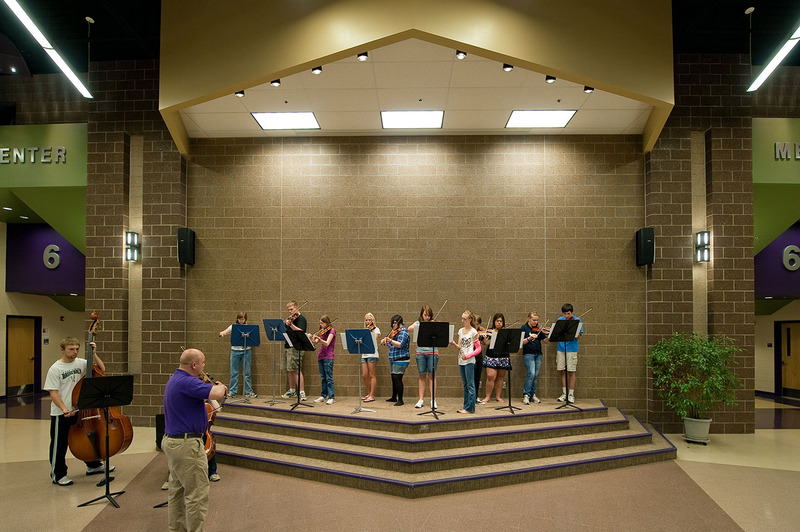 A theater is also planned for a future addition to this area. 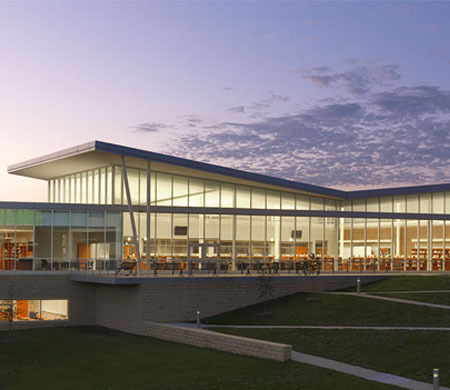 The activity portions of the building can be physically isolated from academic wings for evening and weekend uses. 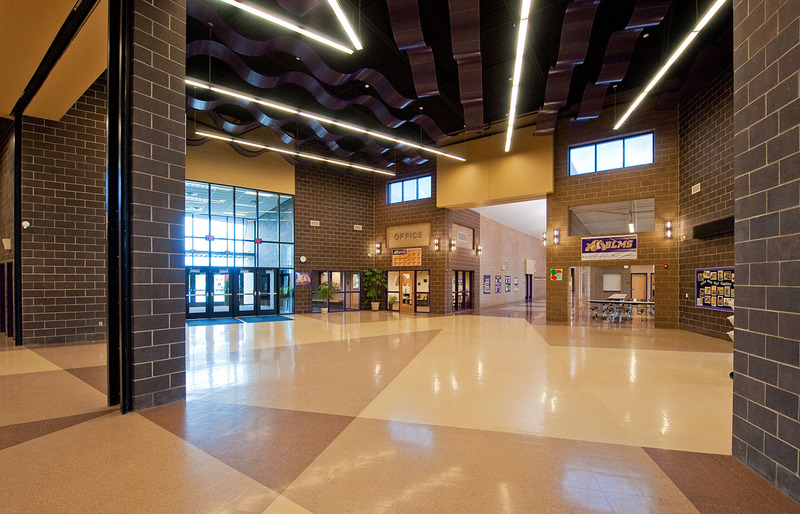 Additionally, the administration suite is strategically located to screen visitors at the front door while remaining central to the building layout. 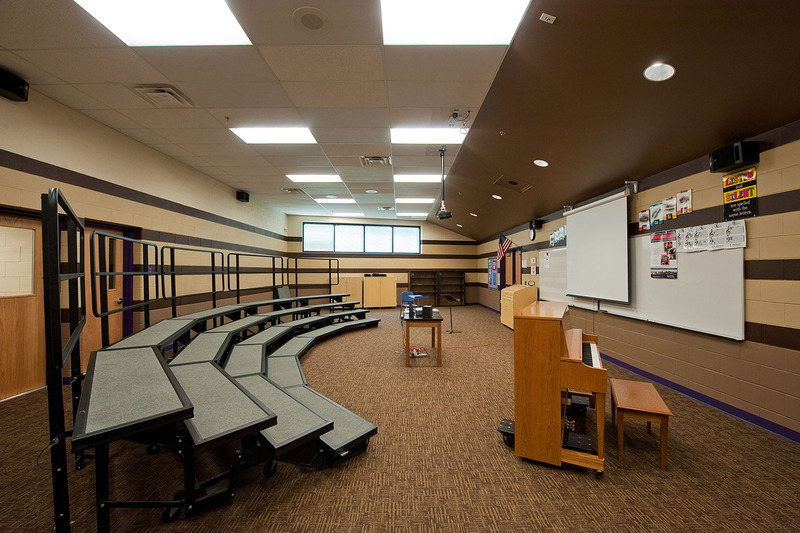 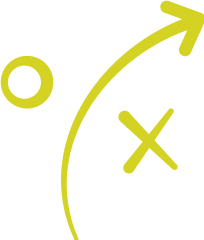 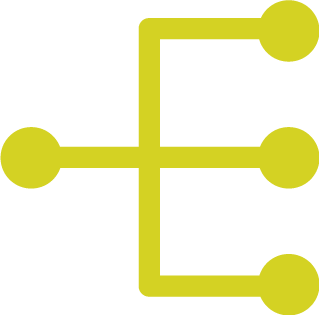 Furthermore, each grade has its own multi-use space, termed “flex learning” environments, to encourage student interaction.